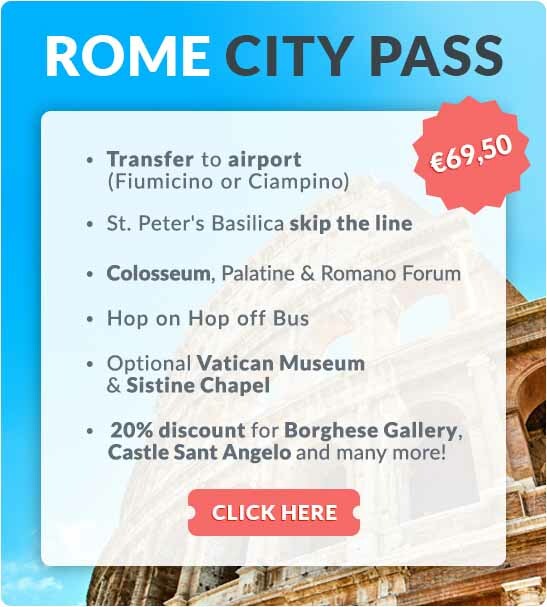 Would you like to visit Castel Sant’Angelo in Rome? This remarkable Castle of the Holy Angel was originally a mausoleum. 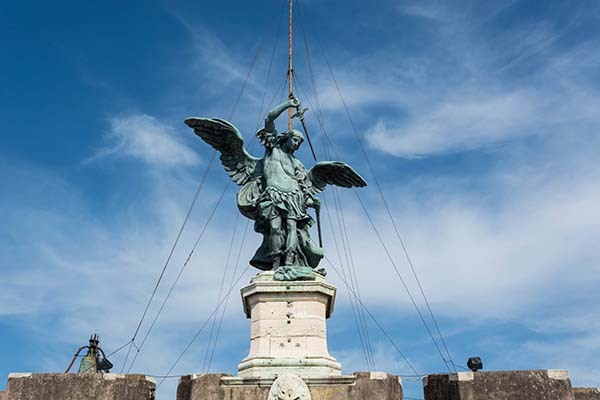 The statue on the castle is a reminder of the appearance of archangel Michael. Tip: Expect queues at the ticket windows of the Castle of the Holy Angel during the high season. It is therefore a good idea to reserve tickets in advance. 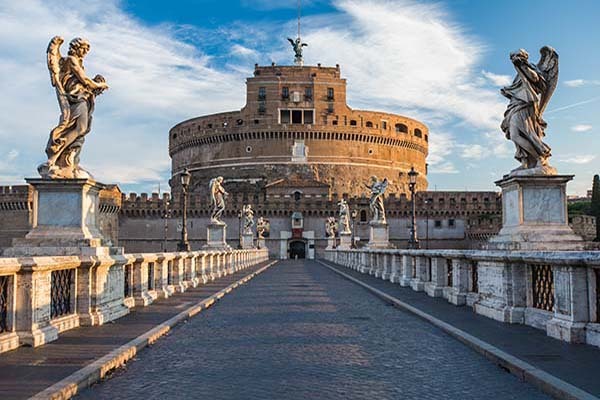 Castel Sant’Angelo was built in the 2nd century as a mausoleum by order of emperor Hadrian. The mausoleum did not become associated with the name of archangel Michael until 590, when Pope Gregory I saw archangel Michael sheathe his sword on top of the mausoleum during a plague to signal the end of the epidemic. Later pope Pius II built a chapel at the site where the archangel was said to have appeared. The remarkable bronze statue of archangel Michael was made in 1753 by Peter Anton von Verschaffelt. The Castle of the Holy Angel in Rome also owes a lot of its fame to the film adaptation of Dan Brown's Angels & Demons, where the castle served as a hideout for the Illuminati. 3rd floor: the museum with furniture, ceramics, weapons, paintings and other Renaissance objects. Castel Sant’Angelo is connected with the other side of the Tiber by the Ponte Sant’ Angelo, or Aelian Bridge. Each side of the bridge is lined with five angels made by pupils of Bernini. The angels carry objects related to the suffering of Jesus. Whet is the building located in Rome?